By becoming a BirdLife Malta member you will help us to carry out our important work protecting birds and nature across the Maltese Islands, for future generations to enjoy. As a member you can enjoy regular updates and news so you can find out all there is to know about the birds and wildlife of Malta and see how your contribution makes a difference. 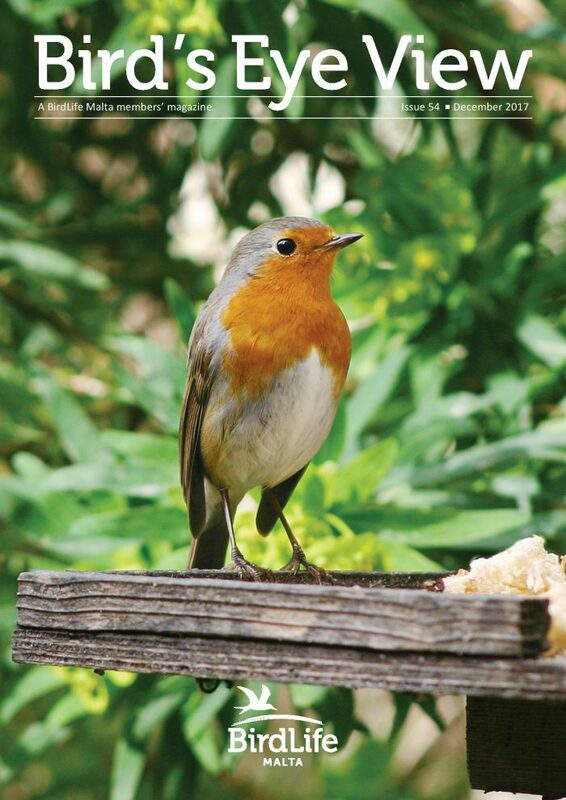 Our members’ magazine, Bird’s Eye View, four times a year – with seasonal wildlife highlights to watch out for, suggested walks and ways to get involved. Our monthly e-newsletter – keeping you up to date with our latest news. Invitations to join our events – walks, talks, workshops, and boat trips – to learn more about Maltese wildlife and meet like-minded people.